After 28 years on the road, Marty has decided to take the year 2000 off from touring to catch up on the many things he missed while on the road. But that's not to say that he didn't close the previous Millenium off with a bang. The end of 1999 saw "Same Old Train," a song Marty wrote and produced for Sony's TRIBUTE TO TRADITION, nominated for ACM and CMA awards after having won the 1999 Grammy for Best Country Collaboration. He began the year 2000 with two Grammy nominations in the Best Country Instrumental Performance category for "Mr. John Henry, Steel Driving Man" and "The Greatest Love of All Time (Reprise)" which are from his critically acclaimed album, THE PILGRIM. To date, Marty has received eleven Grammy nominations, three awards; five ACM nominations; seven CMA nominations, one award; five certificates from BMI's "Million-Air" club for one million air-plays and five BMI songwriting awards. He also has four albums that have been certified GOLD. Once again he has been elected as President of the Country Music Foundation, making this his fourth term. When the new Hall of Fame building opens its doors in the spring of 2001, it will devote an entire revolving and evolving exhibit to Marty's collection of memorabilia. At the commencement ceremonies of the Oglala Lakota College in June, Marty received an Honorary Master's Degree in Lakota Leadership in recognition of his support of the College and the people of the Pine Ridge Reservation. Marty found time in his busy schedule to produce an upcoming album by LeRoy Troy on Rounder Records as well as the new project by Jerry & Tammy Sullivan, TOMORROW. In addition to his role as producer, Marty co-wrote with Jerry, many of the songs that appear on the album. This marks the third Sullivan project he has produced, the last one, AT THE FEET OF GOD, having been nominated for a Grammy. His photography hobby has resulted in a book titled Pilgrims: Sinners, Saints and Prophets as well as photo exhibits in Nashville and New Orleans galleries. Doug MacCash of the Times Picayune in New Orleans says, "Stuart's captured the look of a fading generation of stars in a not-always glamorous profession, with the clarity and artistry of a life-long pro." Marty's work has been published in PEOPLE magazine, COUNTRY MUSIC magazine and SOUTHERN LIVING. The prestigious OXFORD AMERICAN magazine will be featuring his photographs in their July/August music issue. In addition to being immortalized in "The Marty Party in Space" comic book, Marty now can be seen in the animated Tom Sawyer playing the part of the Reverend. The animators of this movie even managed to simulate his patented "rooster-do," albeit with much less hair on the sides. Marty's efforts haven't been limited to recording and/or producing. Nearly 30 years after he first displayed an illustrated Flatt & Scruggs album cover in his room as if it were the Mona Lisa, he found the artist of that work. They struck up an instant friendship. "On the way home to Nashville, I realized that I had to find enough believers to help me bring the name of Tom Allen before the public through an exhibit of his life's work. For the past four years, it has been a crusade and a cause I have dedicated myself to. It's truly been a labor of love." That eventually led to the exhibit at the Ryman Auditorium, Thomas B. Allen: The Journey of an American Illustrator. To kick off this exhibit, Marty enlisted the help of his Tennessee Mafia Jug Band, Connie Smith, Janette Carter and his old friend Earl Scruggs for a concert benefiting the Watkins School of Design which Thomas Allen had attended. It's easy to see that although he's taken a break from touring, he has yet to slow down. He continues to write songs for his next album and to make plans for his return to the concert stage where he will once again entertain country fans with his high-energy shows. Noteable Entertainment & Events is a Vancouver based booking agency, party rental, entertainment services and event production company. 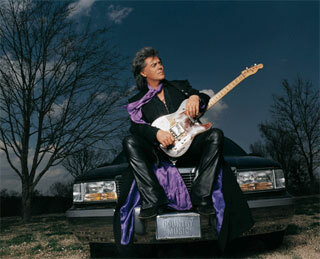 If you are interested in booking Marty Stuart please contact us.